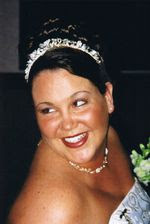 Melanoma Angel - Rachel's Story: Inspiration. It's All Around Us. Inspiration. It's All Around Us. Yeah. That's right. Why haven't I been blogging more often? Is it because I am limiting myself to the more short-attention span focused mini-blogging sites like Facebook and Twitter? Well, not exactly. Yes, I have been all over them; posting many different things, good, bad, indifferent. What's the common bond between all the things I have been up to everywhere but here lately? Let's see. It has been a at least a couple of months since I have posted on here. That doesn't mean I haven't wanted to. I just didn't have the inspiration to actually write an entire entry. The things I have been through in the past few months have all together been some of the most refreshing, spiritual, fulfilling, meaningful, and most of all needed things I've experienced in years. You all know what happened five months ago. You all have seen the transformation in my tone, my personality, and my faith. What could possibly be so inspirational that it takes a human being and changes them so drastically (in a good way)? As I have wrote in the blog before, the support of literally thousands of people is one of the things that never ceases to amaze me. Now that I have run the gamut of pain, anguish, sadness, etc., and seen how everyone was there for me, I now have seen how everyone responds to those who have gone through what I have. It's like a waterfall. Water keeps falling over the edge, because of gravity, yet it is beautiful. People, without thinking, jump into the act of supporting, consoling, loving someone who needs it. The numero uno most important thing I think God has blessed us with as humans is LOVE. When we start losing our faith, what should we do? How can we get it back? When we are surrounded by hate, death, sin, illness, etc., how can we have faith? Have you looked in the eyes of your loved one(s) lately? Your children, your husband or wife, your parents, your siblings, your friends? When is the last time you heard the words "I Love You", coming out of their mouth or yours? Have you experienced unconditional love? I have. I don't always need to hear it to know it is there. It's nice, of course, to hear the words, but they are only words. Think about when you were sad for whatever reason, and someone said, "Hey, you okay? You want to talk about it"? Think about the last time you were upset; a funeral, the ending of a relationship, a big move to another city, a lost job...did you have someone offer to help? Did anyone come and hug you or try to make you feel better with a joke or a nice comment? My friends, all of the above is love. We may not be thinking we are giving love to others by doing those simple things, but we are. We inspire each other so much without even knowing it. Isn't that beautiful? I know sometimes life can be hard. I of all people know that. But, we have so much around us to lean on. We have so much around us to inspire us. We have so many around to be there for us. Use each other when you need to. I'm here for every last one of you. I pray I can inspire each of you like you inspire me. you're pretty rad, rich. keep it up! I am so glad that you found me on Twitter so I could read this. You have opened the eyes of many about this illness I'm sure ! Thank you for all of your efforts to teach and to help. My Mom is fighting cancer for the second time. It started from breast cancer that she had almost 12 years ago and was "cured". Now it is back and everywhere. She is fighting it and it is slowly retreating - so far. This is a scary and hurtful battle for the whole family and for her friends too. Congratulations! I noticed that your blog was listed in Top 50 Cancer Sites & Resources by a site Asbestos News, as was my blog Being Cancer and others I am sure you are familiar with. I noticed the site as a referrer on my statistics page so I checked it out. It’s a tribute to our cancer community - keep up the good work. Also, I am adding you to my blogroll. Great post! I would like to share it with our cancer blogging community at www.beingcancer.net. We have a weekly feature, Guest Post, on Wednesdays. I plan to publish it tomorrow with two links to your blog as well as a direct link to the original post. Our thoughts are with you. Dennis, Diana, thank you truly for the kind words. Love inspires so many things, and your kind words along with all of the others continue to inspire me to keep writing this blog. God bless!